A top Iranian commander says the Islamic Republic’s move to mass produce a fully indigenous fighter jet is unprecedented in the Muslim World. 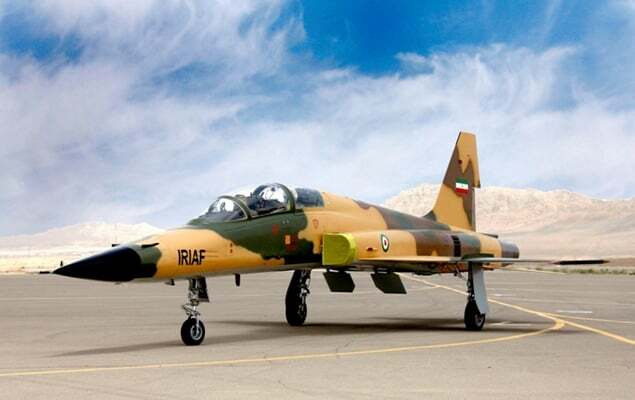 Lieutenant Commander of the Iranian Army, Brigadier General Mohammad Hossein Dadras, was reffering to the homegrown Kowsar fighter jet which was unveiled last week. “Unlike most regional states which purchase their weaponries, the Islamic Republic has achieved self-sufficiency in defence area,” he was quoted as saying in a report by Tasnim News Agency. Addressing a military gathering in Tehran on Tuesday, the general said if ensured that one day Iran would become self-sufficient in defence area, the enemies would decidedly provide it with the required defence equipment. He went on to say that regional states suffer from lack of defence independence and any defence decision taken by them which may stand in contradiction with the outside powers’ interests are blocked immediately. The commander also referred to the presence of Iranian naval squadron in the high seas and its fight against pirates and said the Islamic Republic of Iran can play a key role in creating stability for world trade in the seas. “Regional states can themselves provide the region’s security without the presence of foreign powers,” he noted. The Iranian commander also referred to the human rights violations in the US including its latest policy to separate refugee children from their parents in America’s southern borders and said if the polices were pursued by other states, Washington would deal seriously with them immediately under the pretext of protecting human rights. “The US suffers from double standards when it comes to human rights as it is now remaining silent towards the crimes committed by its allies – Saudi Arabia and Israel – in the regional states including Yemen, Iraq, Syria and Afghanistan,” he noted. General Dadras said the Islamic Republic of Iran is capable of defending itself against enemies’ threats. He added the enemies only understand the language of power and Iran speaks with them with the same language due to its growing defence power.